AS Pest Control provide an efficient, affordable and professional cockroach control service in Mansfield. Available 24/7 we offer a quick and reliable service to conveniently remove the cockroach problem. If you have a cockroach problem you will see dead and alive cockroaches. Mainly nocturnal cockroaches are more likely to be seen at night. To thrive cockroaches require high temperatures although they will tolerate low temperatures. Due to this they are mainly found in kitchens, laundry rooms, boiler rooms where high temperatures occur. In a kitchen they are commonly found inside fridges near the motors which constantly give off heat. Cockroaches are a health hazard. Commercial premises with cockroaches can be closed down by the Environmental Health Department. If cockroaches are not treated their numbers will increase. Contact AS Pest Control and we can provide a free onsite cockroach control Mansfield quotation. Before treating any cockroach infestation it is essential to ensure that the area is clean. The cleaner the infested area is the better chance of success any treatment will have. Under equipment and all areas where cockroaches can climb need to be cleaned and de greased thoroughly. Speak to any neighbour's or adjoining businesses to check if they have a cockroach problem. Treatment will only be effective if the whole building is treated at the same time. The phenomenal breeding potential and production of many egg cases by each female cockroach means that unless a very high proportion of the population is eliminated, numbers will continue to increase. An integrated programmed approach is essential. AS Pest Control provide Cockroach Control in Mansfield starting from only £60. AS Pest Control will always assess the cockroach infestation and use the most appropriate treatment for each case, it is important to identify the species of cockroach. Bait treatment and insecticide will then be used to control the problem. For large infestations it may be required to spray and bait on a monthly basis until the infestation is eradicated. Continued use of sticky traps following a successful treatment can act as an early warning system should cockroaches return. Following treatment you will see dead cockroaches around for a few weeks after each spraying and baiting. These need to be removed to an outside bin for disposal. Try not to wash down treated surfaces for 2 months after spraying as this will wash away some or all of the insecticide or bait. The cleaner the premises are kept the more successful the treatments will be. Keeping areas unseen clean of food debris such as under ovens and fridges is essential. 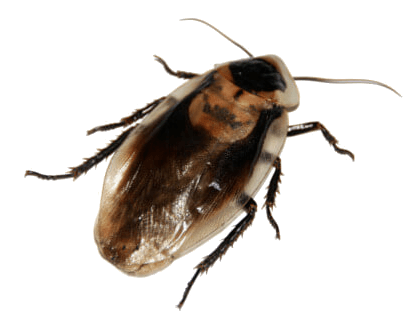 AS Pest Control provide a local, affordable Cockroach control solutions for residential and commercial customers in Mansfield, Nottingham, Derby, Chesterfield, Worksop and surrounding areas.